Ministry of Sound – the club – opened in London in September 1991 and has since established a cult following among clubbers worldwide. The club’s phenomenal success has been built on the very high quality of its music programming and promotion, its world-renowned custom-built sound system and the distinctive Ministry of Sound logo. Since clubbing has developed from an underground movement to a mainstream activity influencing the music preferences, style and attitudes of young people, Ministry of Sound has emerged as the unifier of this culture and is now an internationally recognised youth brand. Ministry of Sound employs over one-hundred and fifty full-time staff across a range of synergistic businesses including recordings, clothing, touring and media ensuring the brand’s representation on news-stands, radio stations and in record and clothing stores across the globe. Ministry of Sound launched its record label in 1993 and has since had a string of number one compilation hits, effectively carving the market for dance music compilations. Over the years, the record label has grown to become the largest independent dance music label in the UK. As a brand, Ministry of Sound has a reputation for being the authority in dance music which has sprung from its incredibly successful club in South London. The same brand quality has effectively been transposed into the albums, many of which were mixed by DJs who played the club. For instance the first album, Sessions 1, released in 1993, was mixed by New York’s legendary Tony Humphries, the club’s first resident. Since then Ministry of Sound has developed a range of album series and singles that span the range of dance music: house, garage, jungle, trance and alternative big beat. Ministry of Sound has had a whole host of number one albums with total sales of over 5 million units. – in 1998 Ministry of Sound compilation albums held the top four places in the best selling dance music chart. The Annual series alone has achieved record breaking sales of over 2 million over 4 albums making it one of the UK’s biggest selling compilation albums. Dance Nation is now on its sixth volume with total sales of around 1 million. The series was established by DJs Pete Tong and Boy George and has more recently seen newcomers Tall Paul and Brandon Block get in the mix. 1999 and the success story continues with the next chapter in the Clubber’s Guide to…series (ninety-nine and Ibiza), both mixed by Judge Jules. The first foray into trance music with Trance Nation was an immediate blockbuster going straight to number one on the first day of sales. Ministry of Sound has just started to produce albums independently for other companies, the recent Galaxy Radio compilation sold exceptionally well for a newcomer. Ministry of Sound now has 4 subsidiary labels: Sound of Ministry, Ride, FSUK* and Data. Sound of Ministry is the commercial house label and has already had a chart topping number 3 hit called Blockster safely under its belt, Ride is a label of tough, underground house music for the more credible end of the market. FSUK* is a leftfield label with cult compilations mixed by esteemed DJs such as the Freestylers and Bentley Rhythm Ace. Data is the recently launched trance label with the number one summer hit ATB 9pm (Till I come). Fridays are MOVE, a colourful night with three different types of the quality dance music under one roof. It appeals to a younger, up for it crowd. Residents are Deep Dish from the USA, Paul Jackson and Dave Chambers. The entrance price is £10 and the age limit is 18 years and older. Saturdays are the flagship night of Ministry of Sound and are appropriately called Rulin’. Rulin’ is the only club night in the country with a musical policy based around US house and garage. Entrance is £15 and the age limit is 21 and above. On average the club attracts 5000 people through the door every weekend. The reason for the popularity is the triple combo of phenomenal sound system, stylish venue and of course the world’s most legendary DJs. Guest in recent months include Paul Oakenfold, Roger Sanchez, Pete Tong, Master at Work and many more. The famous sound system is only ever run at 45% of its full capacity. If it was played at 100% it would be the loudest man made sound you could hear. You will find three dance floors, and three bars. The Ministry Bar incorporates all the brand sales of Ministry of Sound the club. It has the most sophisticated bar sound system in Europe and has been designed by the most prestigious designers United Design who did the Club refurbishment along with London’s top bars and restaurants. The Ministry Bar was launched in 15th April 1999. It is open six nights a week from 5pm until 2am and is closed on Sundays. The music policy varies according to the night of the week but includes every genre of dance music. The Birmingham Ministry Bar is the first of a chain that will continue to be rolled out over the next year. Sought after by clubbers and DJs the world over, Ministry of Sound Clothing produces a range of branded apparel and accessories including T-shirts, sweatshirts, record bags and CD holders. The range draws its influence from the 5,000 trendsetters and opinion formers that visit the Ministry of Sound club each week. The Ministry of Sound’s in-house design team, responsible for all the Ministry of Sound’s creative output, applies its leading edge design to two complete ranges each year. Ministry of Sound pioneered the club tour concept when in 1992 it travelled to clubs around the UK with its unique sound and style. Each event includes Ministry of Sound’s resident DJ’s, acts signed to Ministry of Sound Recordings, dancers, performers, and full set and stage production. The company has embarked on a number of major touring programmes sponsored by some of the world’s foremost brands including Pepsi-Cola and Heineken. Recently MTV broadcast the Ministry of Sound Tour whilst visiting fifteen of Europe’s best clubs, a ten date UK tour in association with Marlboro achieved the sponsors objective to collect 50,000 names and addresses and a tour of Asia, including China, Taiwan and Vietnam promoted British American Tobacco’s (BAT) ‘555’ brand. In 1998, Ministry of Sound Tours will produce around 250 events including regular appearances in Tokyo, Miami, Cape Town, Sydney, Dublin and Hong Kong. In continuing to expand the Ministry of Sound’s areas of activity, the company’s Media division has embarked on a number of projects to take the Brand to a wider audience. ‘Ministry of Sound Live’ features the world’s most famous DJs recorded at the Ministry of Sound for a two hour radio show broadcast weekly throughout the world and even with it’s own channel on Virgin airlines! Ministry of Sound Media is also responsible for www.ministryofsound.com, the company’s award winning website which receives over 3 million impressions per month. Live audio/visual broadcasts, music and video downloads, an online shop selling Ministry of Sound CDs and merchandise, and a virtual club are amongst the many features on offer. The site also generates the weekly e-flyer, an update of clubbing news, gossip, reviews and competitions, which is distributed via email to around 100,000 subscribers per week. ‘Ministry’ is the Ministry of Sound’s market leading glossy music-lifestyle magazine produced in-house. It is the best selling dance music magazine in the UK with circulation figures of around 100,000. It is more of a ‘going-out’ magazine than just a music magazine with information on fashion, bars, and the social trends of the British youth. DJ’s now have the financial and celebrity status of pop-stars and as such require intensive management. Ministry of Sound DJ & Artist Management represents some of the world’s finest DJ talent and provides their services to clubs and events around the world. The company’s roster also has technical ability in studio-related work and regularly produces, remixes and writes for a range of well-known dance Artists. Currently on the club’s books are Residents: Jazzy M, Paul Jackson and Dave Chambers as well as Danny Tenaglia, Yousef and Todd Terry. I have recently come up with an idea for a new drink holder which i have called a drinksafe mixer holder. The product stems from the design of a cocktail shaker but with a longer neck so that it looks like a cross between that and a bottle. The reason i have come up with this idea is because when i go to nightclubs, the options are either to buy a bottle, which is easy to carry, drink from and dance with, whereas if i bought a mixer such as a vodka and coke, it has to come in a glass, which is extremely unpractical more unsafe than a bottle with regard to contamination. What i have come up with is a holder that can be filled with mixers or any other type of drink for that matter, which is made of plastic, so that it is refillable and thus saves the overuse of plastic cups and saves time when people are queuing at the bar. What else is good about the product is that it has a small cap on the top so that when the consumer wants to go outside etc, it is easy to put into a bag and save for later on, which also means that there is less risk of contamination. 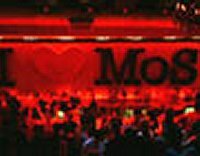 my Boss and me are big fans of MOS music and are visiting London and we heard from our employees, that we have to visit the club. As the queues seem to be very long and as we have dinner with some business colleagues on saturday 12th July, we would arrive about midnight, which is probably the worst time. Do you maybe see a possibility to put me +1 on the guestlist, the only thing i can promise is that we like to drink bottles of Wodka. hi. i need the standard of sound desgin of night clubs or theater or cinema.